Ransomware on a connected thermostat. 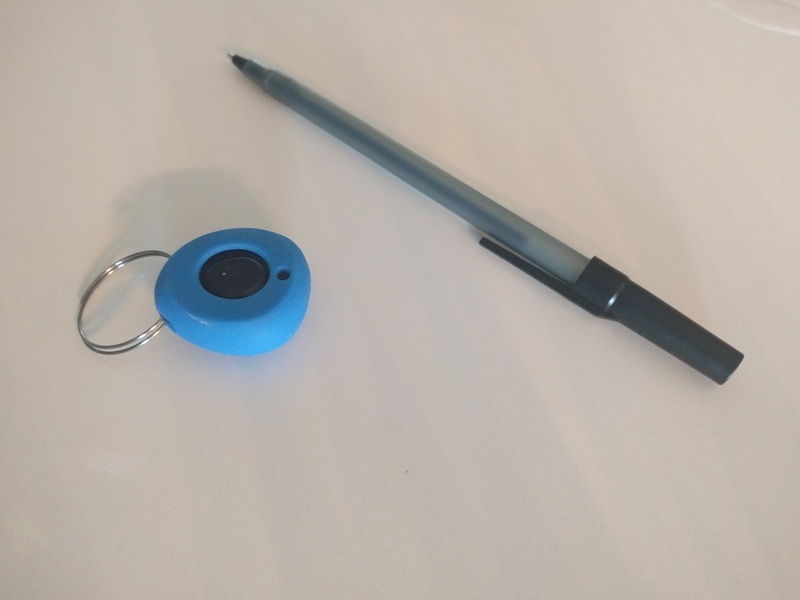 Bluetooth locks that can be opened from a quarter-mile away. Cars that can be controlled at highway speeds. All of this and a Mr. Robot reference await you in this week’s show as I discuss the news from Defcon and BackHat with Beau Woods, the deputy director of the Cyber Statecraft Initiative at the Atlantic Council. Woods’ advice for consumers was surprisingly comforting. And yes, you have heard him before. He appeared on Episode 52 with 9 tips to secure the smart home. The Staples Connect Hub (plus assorted gadgets) in November 2013. Before we delve into the insecurities of the internet of things, Kevin Tofel and I discuss the demise of the Staples Connect hub, which hubs we’re currently fans of and updates on several developer tools. We also talk about carriers’ efforts in the IoT, connected car data plans and a new device from Logitech. Are hubs like the Highlander? Staples Connect is done! So many hacks at Defcon, but don’t panic. This week I was at the NXP Technology Forum interviewing the semiconductor company’s CEO Rick Clemmer about smart cities and smart cars. The most interesting fact he shared was that the BMW Series 7 cars have about $300 worth of silicon inside them. To compare the estimates on the cost of chips inside the Apple iPhone 6 come to roughly $120. 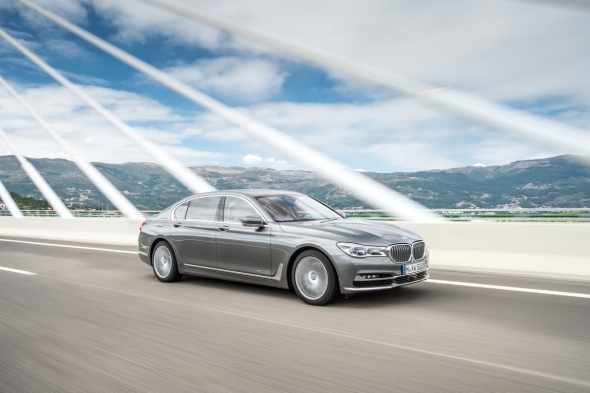 The BMW Series 7 sedan packs a lot of silicon. –Image courtesy of BMW. Kevin was at Google IO this week, so next week’s episode should be full of great insights, so Janko Roettgers from Variety was my cohost. 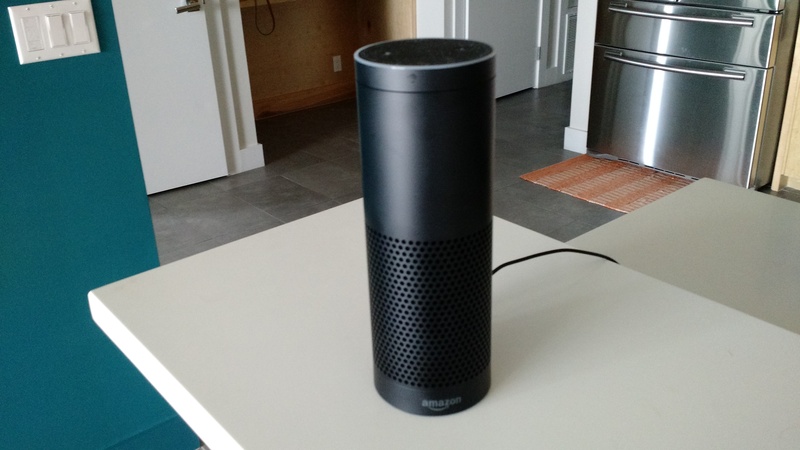 He has just been to CES Asia, so we learned about the Amazon Echo of china called Ding Dong and the size of CES Asia. We also discussed new integrations for the Nest, the Amazon IoT Dash button and a then I was kicked out of the room where I was recording. So we didn’t get a chance to cover Google Home and the sound quality isn’t as great because I was live with a wobbly connection. I hope you will bear with it. So many more things work with Nest! We dove into the deep end of wearables this week discussing the dresses at this year’s Met Gala, where Kevin shared that Clare Danes’ princess fantasy gown took 30 battery packs to operate. It’s not all celebrity this week as Kevin and I dove into several devices that unfortunately didn’t all quite work as we expected. I reviewed the Pebblebee Stone, a bluetooth tracker and programmable button that was supposed to connect to If This Then That, but didn’t. Kevin talked about connecting his OnHub router to If This Then That, but also had some troubles. And once again we shared news of SmartThing’s troubles–this time with a security vulnerability. We ended with Microsoft’s acquisition of Solair and Oracle’s acquisition of Opower. The Pebblebee Stone next to a pen. The other side is covered in the soft plastic. Then for the open source, DIY smart home junkies out there, I brought Kai Kreuzer, the founder of OpenHAB onto the show. He discussed the projects ambitions–let people connect all their stuff without worrying about handing over control to a vendor–and how he might commercialize the project. The conversation exposed how tough it is to get the ideals of the open source community to mesh with the reality of trying to connect your home. Listen up. 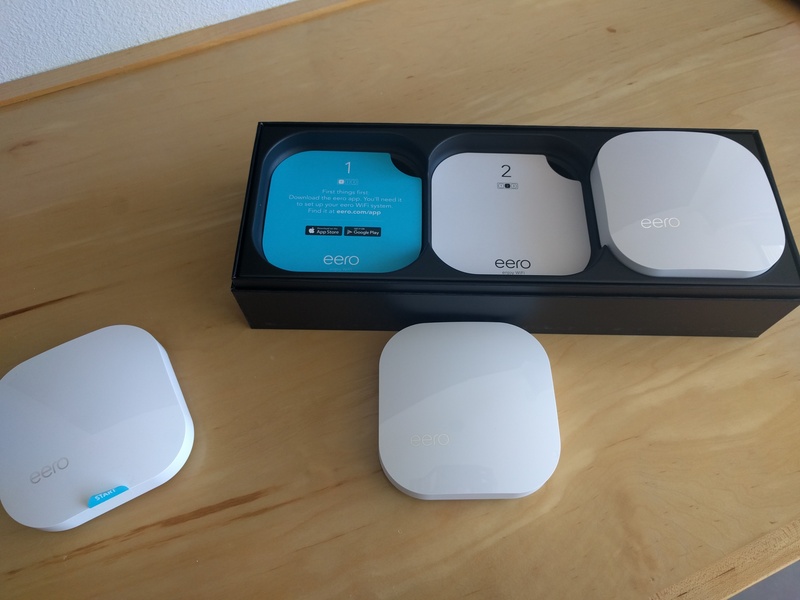 Want to build your own home hub? 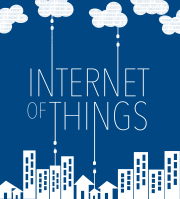 Security is a big deal for the Internet of things, which is why we’re so pumped about having Beau Woods, the deputy director of the Atlantic Council’s Cyber Statecraft Initiative, on the show to discuss nine new recommendations for securing smart home devices. The Atlantic Council and security research group I Am The Cavalry created the report to as the beginning of what they hope will become a formal framework for smart home devices. Some are basic such as design with security in mind, but others help data privacy and what happens when a device becomes disconnected form the Internet (or the app governing it). For a full list of recommendations please check the report or my summary in PCMag. Before we delve into security, Kevin Tofel and I cover the big Nest drama from last week that extended into this one when former Dropcam CEO Greg Duffy defended the Dropcam employees from Nest CEO Tony Fadell’s insults. 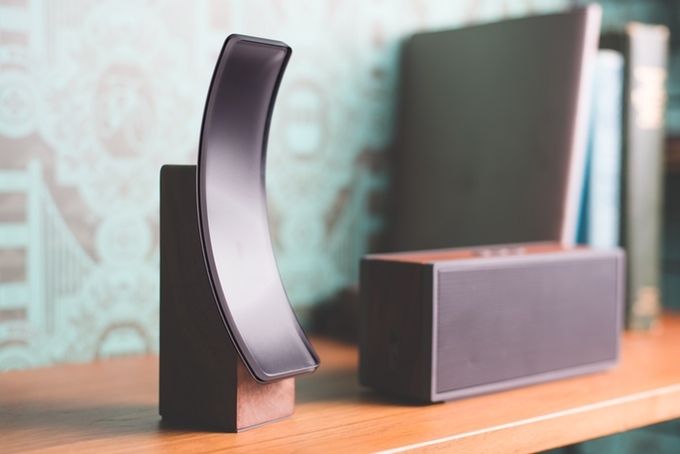 Nest isn’t the only company that acts as a smart home platform that had drama. If This Then That also ruffled some feathers as it sent out notices to longtime developers that it was changing the way it requested information from their APIs. I emailed Linden Tibbets, the IFTTT CEO, and got a quick comment, but still have questions. As Kevin and I await our Amazon Dot’s coming the day this show airs, we discussed the Amazon Dash expansion, the longer wait for June connected ovens, a connected wine bottle and the new August doorbell. We end with a plea for y’all to take our survey and tell us what you think. So enjoy the show, and please click here if you’d like to take the survey. (It’s super short). Nest is run like Apple and that’s not a good thing. If this, then … drama! I like the August doorbell. Security woes are keeping people from the smart home. Here’s how to make the ultimate smart home more secure. Episode 50: Are your devices being held hostage? This week, Kevin Tofel and I discuss the challenges of treating connected hardware like software. Nest is experiencing one of those challenges this week as it requests users accept new terms and conditions in order to use their Nest. If you don’t agree, you don’t get the app, which is frustrating users who feel that Nest is reducing the functionality of the product. Twitter users are calling this holding the device hostage, but it is a legal necessity if you change certain features. Kevin and I propose a solution. 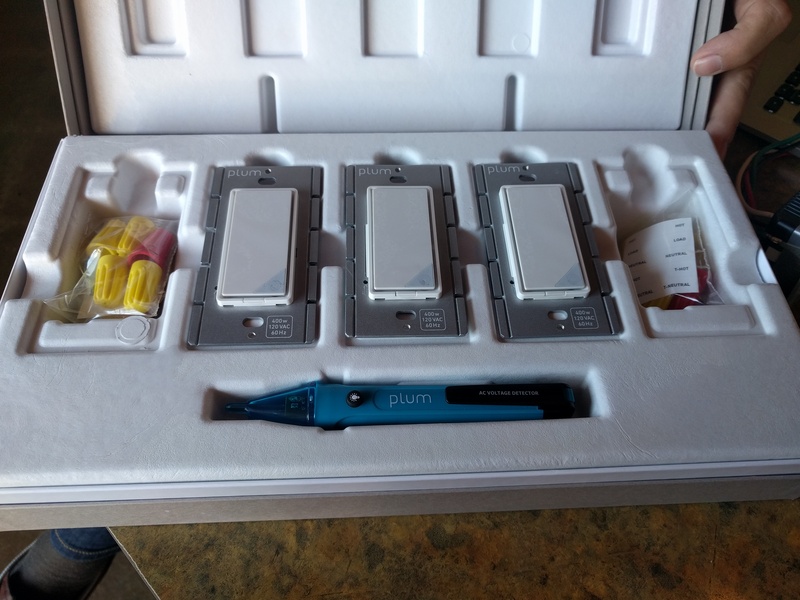 After that we spend time discussing the New Philips tunable white lights, the C by GE lights and the Stack lights, which I am trying out and still learning how to use. 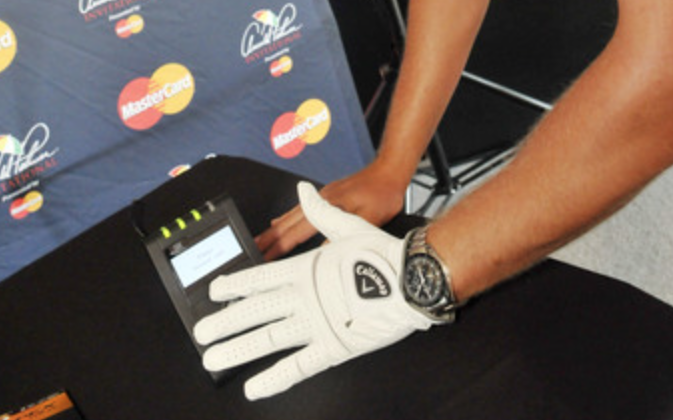 Paying with a Callaway golf glove with MasterCard payment tech inside. –Image courtesy of MasterCard. Our guest this week is Sherri Haymond, Senior Vice President of Digital Payments & Labs at MasterCard, who discusses the future of payments and how MasterCard’s partners are putting the ability to buy things in surprising places. Callaway, the maker of golf gear, has put payment tech into a golf glove while a fashion designer is embedding the technology in hats, handbags and jewelry. Enjoy the show. You can pay with anything! 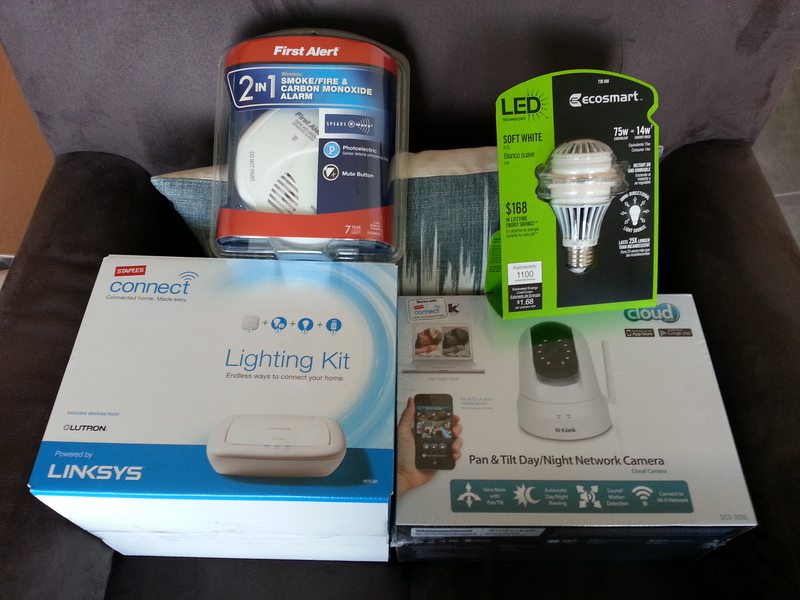 Posted on March 17, 2016 February 12, 2018 Categories lighting, payments, security, smart homeTags C by GE, MasterCard, Nest, Philips, Stack Lights2 Comments on Episode 50: Are your devices being held hostage? Freak out! This week’s episode isn’t about disco, it’s all about the security of your things. Or insecurity as the case may be. We talk about Shodan, the search engine for connected devices and the creation of a security framework for connected devices by the researchers at I am the Cavalry. Go read the story at Ars Technica and scroll all the way down to the Cavalry stuff. After we talk about that, we discuss a new programming interface for Raspberry Pi’s from myDevices called Cayenne, Amazon opening up its new Dash Replenishment Service to everyone, and the big news that could shake up the building automation market. For those of you guys who love thinking about the smart home, I brought Scott Jenson, a UX designer from Google, to join us to talk about his personal thoughts on how connected devices change a home’s design and how to avoid having to give your home an email account just to make it functional as a connected entity. Jenson blogs about some of these topics here, such as why he doesn’t think we should look to smart homes to recreate butlers. Find out why he thinks that, and some of his other ideas in this week’s episode.